How much can you save on a short sale in Niceville, FL? The short sale process in Niceville, FL, for a buyer can be very profitable if the situation includes a motivated seller and a cooperative lender. Find the best short sale homes and bank-approved listings available in Niceville, FL, at Foreclosure.com today for as much as 75% off market value. 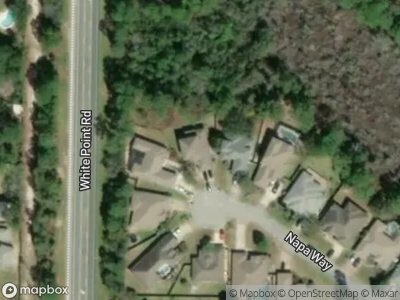 There are currently 1 short sale homes in Niceville, FL, available for potential sale right now. Get the most current list of short sale listings in Niceville, FL — and the information and tools to buy them fast — at Foreclosure.com. Niceville is a city in Okaloosa County, Florida, United States, located near Eglin Air Force Base on Boggy Bayou that opens into Choctawhatchee Bay. The population was 11,684 at the 2000 census. The 2010 census population for Niceville was 12,749. Niceville is part of the Fort Walton Beach–Crestview–Destin Metropolitan Statistical Area. When mail service began on July 21, 1868, the city was known as Boggy, and on November 5, 1910, the name was officially changed to Niceville. The name Niceville was selected by the postmaster's daughter. In 1915, Niceville became part of newly formed Okaloosa County after previously being in Walton County. It is a twin city along with Valparaiso, which borders it on the west side of the city. According to the United States Census Bureau, the city has a total area of 11.3 mi², of which 10.9 square miles (28 km2) is land and 0.4 square miles (1.0 km2) is water. As of census of 2000, there were 11,684 people, 4,637 households, and 3,385 families residing in the city. The population density was 1,069.8 inhabitants per square mile (413.1/km²). There are currently 1 red-hot tax lien listings in Niceville, FL.